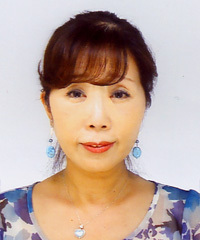 Ogawa Tomoko (小川 誠子, born 1 April 1951) is a Japanese 6-dan professional Go player. Ogawa was born in Kanagawa and at age 14 she won the Ladies' Amateur Honinbo title. After that she became an insei of Kitani Minoru and turned professional in 1970. She is best known to the English speaking go world by the book on endgame theory she co-authored with James Davies ("The Endgame").